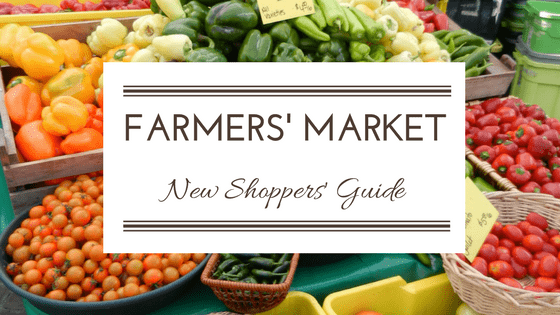 This is the third in the New Farmers’ Market Shopper series. See previous articles here and here. One of the biggest differences between shopping at the grocery store vs. the farmers market is the fact that you have to purchase the items directly from the vendor that produced the item. For many new shoppers (and even some long-time shoppers) this can be uncomfortable and a bit daunting. After all, when you take your cart to the checkout at the grocery store, the cashier doesn’t particularly have a vested interest in what choices you made. Here are a few tips for smoothing the way to making your first market purchases. Be polite and courteous. This goes for both the vendor and your fellow shoppers. If you have a question for the vendor or want to make a purchase wait your turn. It can sometimes be a little crazy, if a vendor is popular and lots of people are shopping. A little common courtesy goes a long way! Be aware of your surroundings. It is your prerogative to ask the vendor questions before making a purchase or to be selective in looking over the produce or other goods. However, you don’t want to block out other shoppers for a long time or monopolize the vendor when they have other customers to help too. Read the signs. They won’t answer all of your questions, but they should give you at least basic information about prices and what each vendor is selling. This will cut down on the time you spend asking questions or trying to make decisions. Feel free to ask questions. The best way to learn about the items a vendor is selling is to talk to them. If you can’t find the information you need from the signs or you want to confirm something, don’t be afraid to ask if you have a chance. The vendors know that they are more likely to sell to a customer that has all the information they need to make a decision. If you need an idea on how to cook a vegetable or a cut of meat, they will probably have some good suggestions for you. Be understanding. Most vendors are happy to share information with you about their farming practices and production methods. They have had to make some challenging decisions about how to grow, raise, or produce what they are selling. You may not always agree with their decisions about everything, but this isn’t the right time or place to make an issue of it with them in great detail. You might say something like, “I wish I could find this product grown organically.” If they have time, they may explain more, or you can just say thank you and move on. Each vendor is unique. While there are certain standards regarding if items can be sold by pound, by bunch, or by volume, among other rules, most items have more than one way they are allowed to be sold. If vendor A is selling strawberries for $5 per pound and vendor B is selling strawberries for $5 per quart, you may not be getting the same amount for the price. You have to be a little savvy to make comparisons. Be prepared to pay. All vendors will accept cash payment. More and more vendors will accept credit cards at their booths. If you want to use a credit card, you may want to ask first if they take them. If they don’t, ask if the market can swipe your credit/debit card in exchange for tokens to use like cash. Visit the Information Booth for that service. If you want to use SNAP benefits, you will need to go to the Information Booth at participating markets to use the EBT machine to receive tokens. If you are using your Senior Farmers Market Nutrition Program vouchers, you will need to look for farmers displaying the signs that they accept those vouchers. Other vendors are not legally allowed to accept them. The best way to get more comfortable shopping at a market is to keep doing it! Do you have any other tips for new market shoppers to make the first few purchases easier?